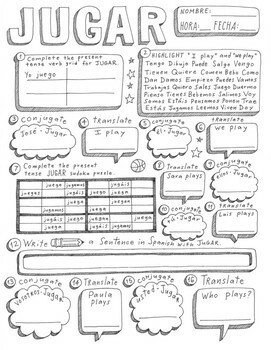 This hand drawn worksheet provides an opportunity to practice working with the verb "jugar". 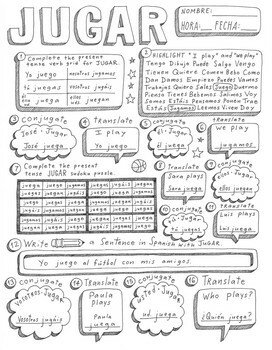 Students will conjugate the verb, translate (English to Spanish), create a sentence, and work on a 6x6 verb sudoku puzzle. It's a unique worksheet. No prep! Print and go!